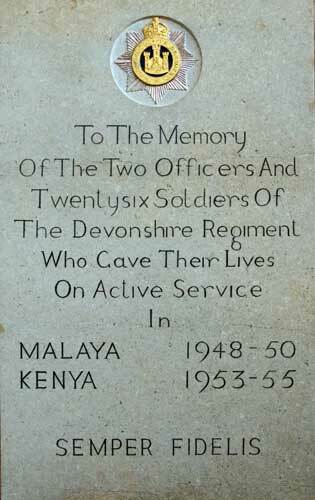 22855789 Private Malcolm Tuffley of the 1st Battalion, the Devonshire Regiment. Born in Chepstow 28 October 1934. Died of Disease 18 January 1954 aged 20. Buried in Mbarki Cemetery, Mombasa.